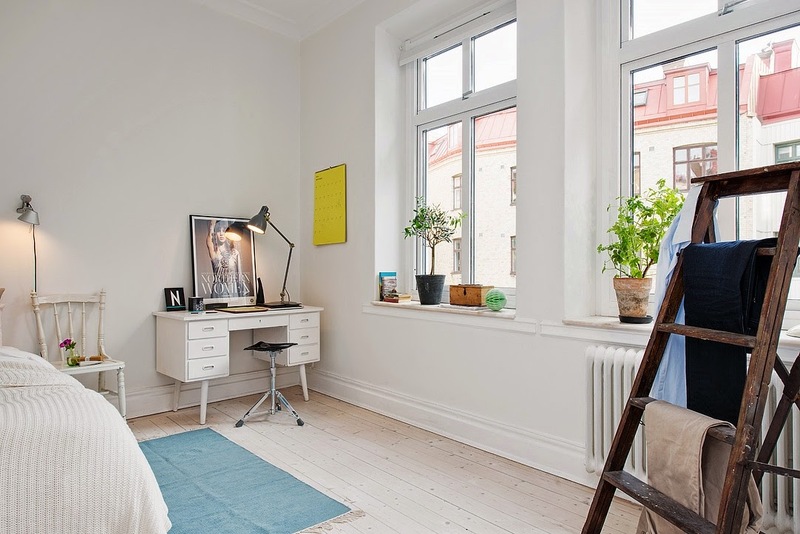 If I were to start renovating my home again from scratch I'd go for the 'blonde nordic' look. 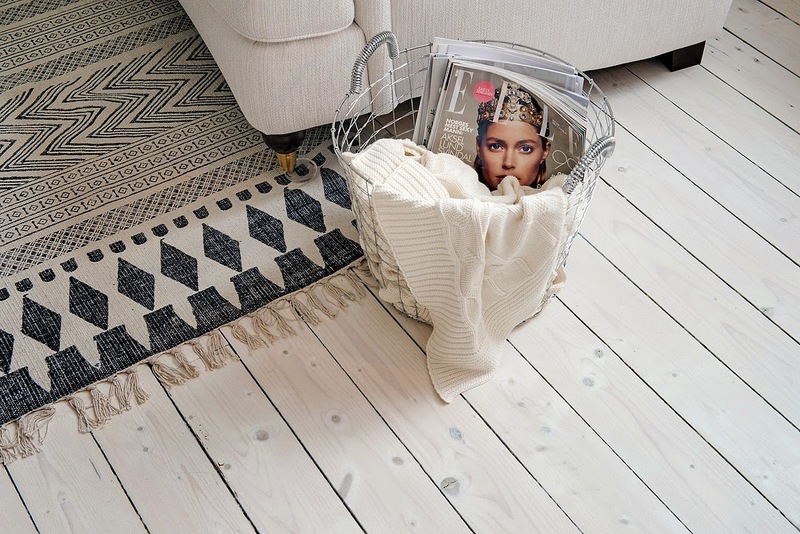 Light grey walls and white washed wood floors. Lots of natural light. Add monochrome and pastels and I'm totally sold. 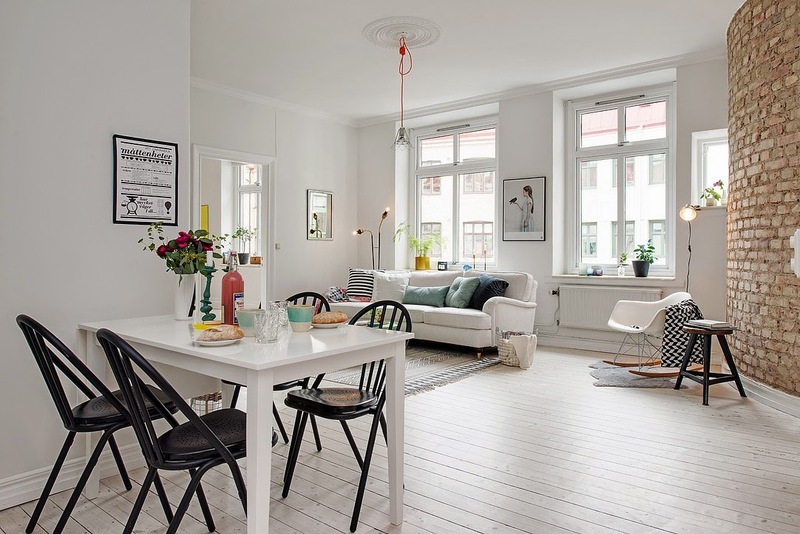 This apartment is the perfect example of 'blonde nordic' in my eyes (do you agree?!). 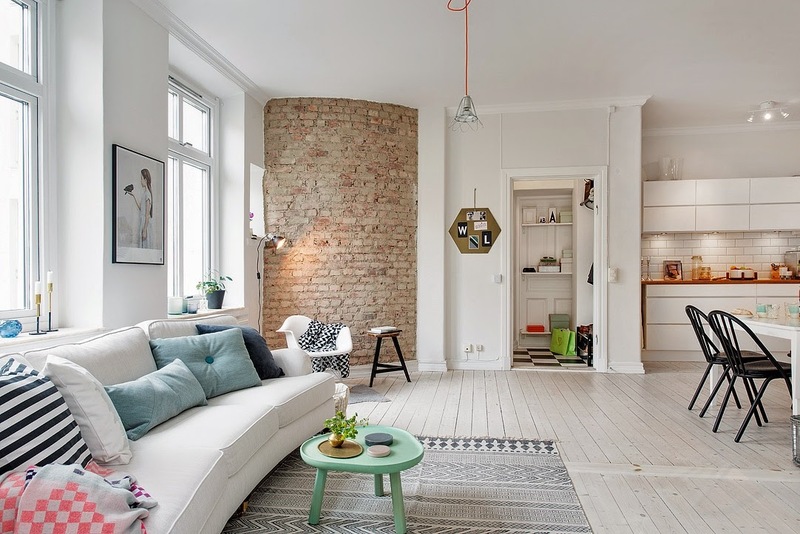 I love the addition of the exposed brickwork in the sitting room and the occasional pop of yellow and green. 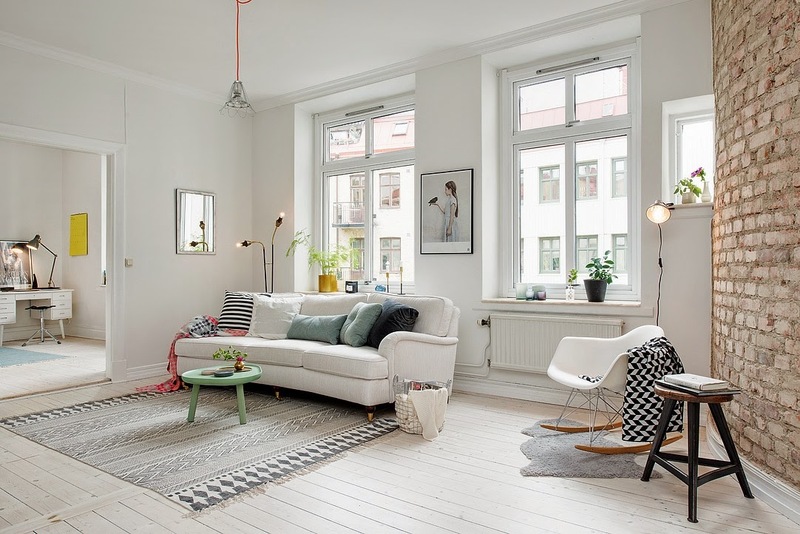 Such a lovely space! What do you think, your kind of space? 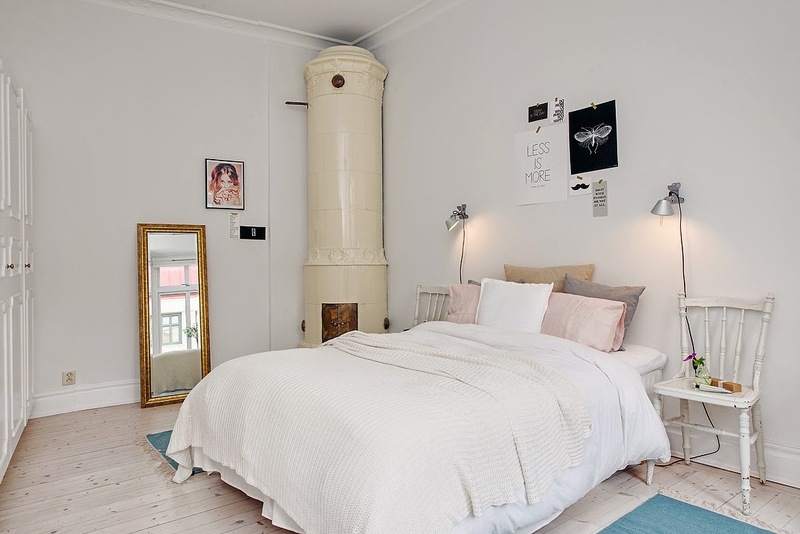 For more pastel inspiration it's worth taking a peek at this, this and this home (in case you missed them before!). Or for more bold colours, this home will make you smile. I'm sometimes e-mailed about why I rarely show TV's in the home tours on here. The answer is that I feel they rarely look good (although I know they're a necessary piece of equipment!). But in this home I think the owners / stylists have been really clever at incorporating one in a way that looks clean and stylish. Don't you agree? On the subject of TV's, how do you have yours in your home? Is it hidden or on display? Do you have a giant one or a small subtle one? Or perhaps you have a projector (if so I'm intrigued about how you find it as I'm tempted....?!). Oh, thanks, I have new words in my vocabulary, "blonde nordic", didn't know something like that exists, need to explore more. And yeah, it's very cozy. Just imagine it without all the lovely colour details..I just can't. They all bring such warmth and heartiness into whole flat, making it lovely. Esa pared de ladrillos es locura absoluta. Preciosa. 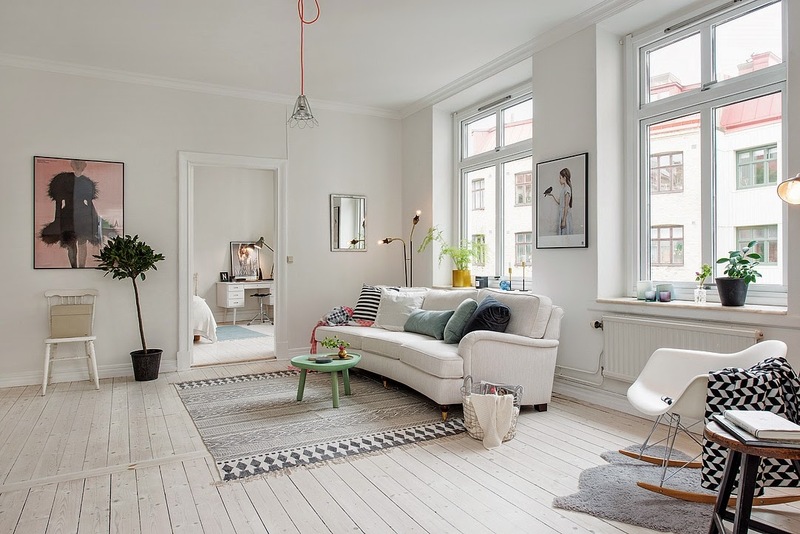 Looks very nice, but you'd have to spend a lot of time cleaning those white floors, maybe too much maintenance? I love it. I could completely go with those floors. No projector here, just put our TV in the family room in the basement. I didn't want it to be the focal point of the main room. I do like how their TV set up. Completely agree… it needs that brick wall to give it some texture so it's not too washed out. But what stole my heart are those tiles in the bathroom peeking through, they are pretty great as well. I think it's MAGNIFIQUE! I want the same!! You are so right about TVs! I have been struggling with figuring out how to make our TV and entertainment space look nicer, but it's tricky. I think it's especially difficult in a light and pastel home as most TVs are black and draw attention directly to them! Good point about the color, Erika. It was funny because I hadn't noticed the tv; my eye was drawn to the kitchen and I just scrolled down. I would like to mount our tv up out of the way on the wall in the family room. I love the desk. Beautiful piece of furniture. I do not watch TV so no TV for me. As a designer, I like to keep the television hidden and as minimal as possible if it's in a main living space. I wonder what it says about society that we often face all of our furniture toward the television instead of laying it out for human interaction? 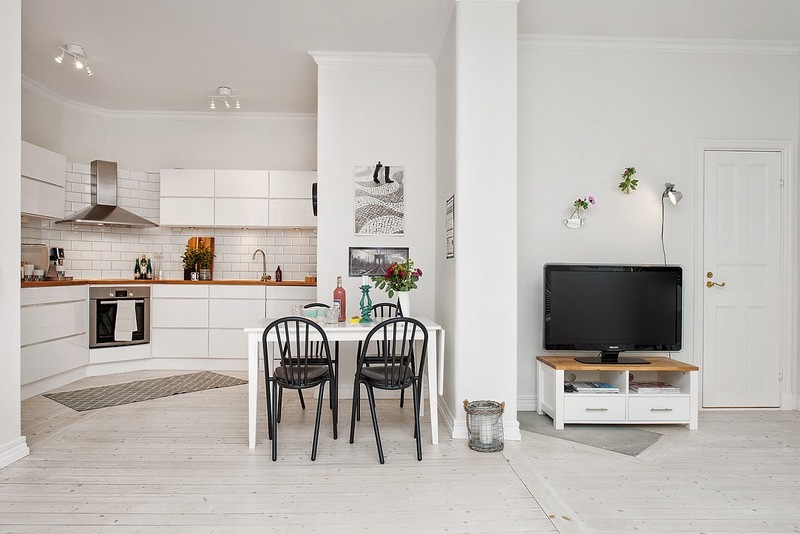 Ideally, achieving both is the goal so that the space is multi-functional, but I still like to make the TV as disguised as possible so that it's not the focal point of the room. I totally agree with you Heather, so interesting. In our home we deliberately don't have a TV in our downstairs sitting room because it's all to easy to put it on and then any chatting / drawing / playing is out the window!